My little family took off spontaneously to a large, lake town about two hours away from our home, for a needed break. The lake is fed calcium from the nearby limestone rock, which makes the lake a pristine blue color that seems to feed the soul. You can just sit and look at the water shimmer, the hues shift with the current and the quiet nourishes every part of you. I sat watching four large pelicans fish in a shallow spot that was only about two feet deep. It was beautiful, the blue lake contrasted by these large, white, floating birds. I then watched my husband head out to the same shallow spot with his fly rod in hopes of doing a little ‘carping.’ He waded in water less than a foot and would lift up these golden, shining fish that had large, open mouths. 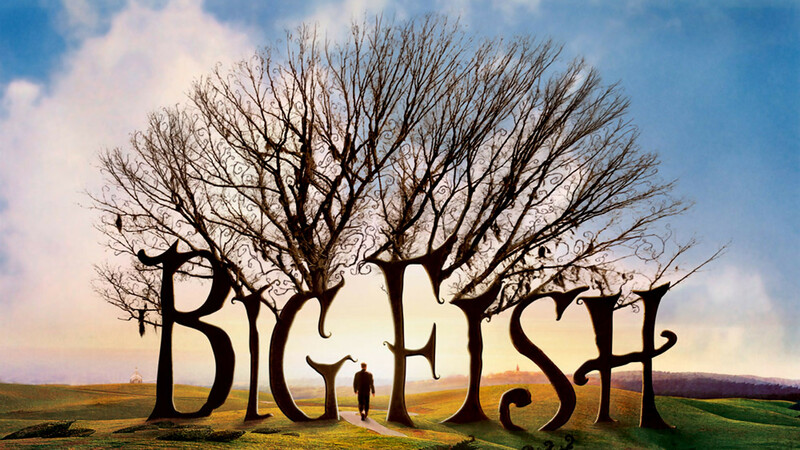 It reminded me of a great Tim Burton movie, ‘Big Fish’ that we then watched that night. It seemed fitting to watch a movie of the same name, after catching such large fish earlier in the day. So, while we watched I took notes on some of the epic lessons that were held within the movie. Hopefully you will take away a lesson learned & then watch the movie if you have not seen it. “The biggest fish in the river gets that way by never being caught.”—Life is like that. The more you try, the more you journey, the more you learn, the wiser you become. “The more difficult something became, the more rewarding it was in the end.”—I believe this to be true with every difficult change, every surprising struggle, every lesson learned. If you don’t have difficult moments, where will you find the reward? If your life was eternally easy, where would you learn? How would you learn? “This town is more than any man could ask for. And if I were to end up here, I’d consider myself lucky. But the truth is, I’m not ready to end up anywhere.”—There is a timing in everything that happens to you. This is where your gut feelings, your inner compass guides you to what you truly need for your life. “It was that night I discovered that most things you consider evil or wicked are simply lonely, and lacking in social niceties.”–every person has a story, a reason for the way they are. Take the time to understand. There have been numerous situations within my life where I have met a person with a distasteful personality and thought “what is their problem” to only understand a little better, once I came to know their story. One such story…A woman who worked as a cashier at a local Riteaid near my home. My husband and I frequented the store for small necessities to only leave on every occasion wondering what this woman’s problem was because she was cold and nasty in every encounter. Within a year we ended up living in the same building as this woman. We were not excited, but began to slowly get to know her. We came to find out that she had been struck with the AIDS virus and was deserted by her family. She felt very alone and judged by everyone around her. Our hearts ached for this woman. You never know ones journey. “Fate has a cruel way of circling around on you. After all this work to leave Ashton, the girl I loved was now engaged to one of its biggest jerks. There’s a time when a man needs to fight, and a time when he needs to accept that his destiny is lost, that the ship has sailed, and that only a fool will continue. The truth is, I’ve always been a fool.”—Never give up. Fate does have a way of circling, testing and making sure you know what you truly want. If you ask and continue walking faithfully in the direction of your desires, you will begin to understand that someone truly is listening and wants what is best for you. “Truth is, I’ve been thirsty my whole life. Never really known why.”—What are your thirsty for? Some people get stuck never grateful for what they have, always wanting more and more, until they finally see what they have is more than enough. “A dangerous path is made much worse by darkness.”—Seek the light in all you do or you will need to watch every step you take in the darkness. Each step will become darker and darker, leading you further away from the light. “A man tells his stories so many times that he becomes the stories. They live on after him, and in that way he becomes immortal.”—This one I truly understand even more deeply since my mother has been living with me. Every story she tells about her childhood, her mother, her father, sinks into my well of memory. I listen more intently, hoping to grasp the details, the way she tells the story, the emotion that wells up in her, the sweetness, the true moments of immortality that seem to live on in her every word. It’s priceless. Well, there are lessons all around us, we just need to seek after them. I am trying to take more and more out of all I do, the movies I watch, the stories I read, the conversations I have…they all lead to learning at some level. Seek to become better in all you do. I believe there is reason for growth in everyone & that everyone is intended to live for larger things, to learn daily, to seek wisdom, to live beyond an ordinary life, a life rich with gratitude, a life that God intended you to find in every step you take. Enjoy your journey. Next Lessons learned from another time.